A day after his performance at SXSW in Austin, TX, Prop visits with Brett & Emily about faith, music, and coming to Waco. Propaganda’s music is about both divergence and connection. The rapper, raised and bred in Los Angeles, sees the intersection of all things and celebrates it in each song. His music is like the man himself, the result of many elements coming together. He wasn’t sure music could be a career, though, so Prop went to college and graduated with degrees in illustration and intercultural studies. He spent six years teaching high school and had a hand in founding two charter schools in LA, one of which had a focus on the arts. Music lingered, despite any other successes, and Propaganda joined up with hip-hop collective the Tunnel Rats. By 2007, he quit teaching to pursue music full-time and began touring as a solo artist. He joined the Humble Beast family and unveiled a series of four albums that put his music on the map. Propaganda’s 2014 album, Crimson Cord, was released for free, but still managed to top several Billboard Charts. 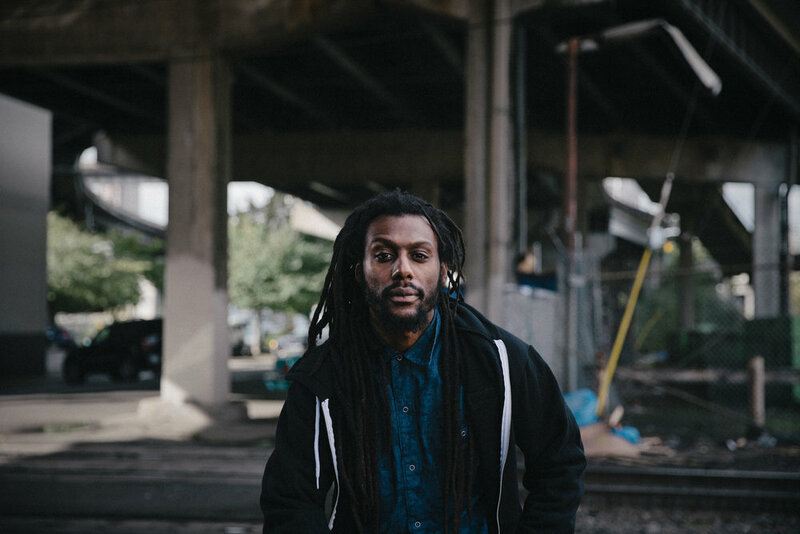 He’s toured with krs-one, Murs, De La Soul and Lecrae, and played Warped Tour, Rock The Bells and Smokeout Festival. And now Propaganda is ready to take his songs to the next level with Crooked, his fifth solo album. The album draws its name from the idea that we’re all working towards perfection in an imperfect way. It’s about the idea of a crooked individual who has crooked relationship inside of a crooked system set up by crooked people for crooked gain, where everyone longing for a day when the crooked is made straight. It’s only in his faith and belief in an eventual day of reckoning that the individual finds solace. That theme is explored in the songs, which also grapple with Standing Rock, white supremacy, the patriarchy and self-hate within the black community. It all ties together in the subject of intersectionality, a concept used to describe the ways that oppressive systems are all connected and cannot be dealt with individuality. Prop was inspired by watching his wife, a first generation Mexican woman, face misogyny and sexism. He saw parallels to his own struggles as a black man and wanted to discuss that in his music. For Propaganda, art is the essence of everything. It represents the mouth of the river from which all of human culture flows, and it’s important to him to address it at its source. Crooked takes on a lot of big ideas and deals with issues that have no easy solution. But it asks questions and seeks a response from its listener, encouraging a dialogue that hopefully will incite tangible change. Propaganda’s ideas stem from where he sits at the intersection. He sees how cultures cross and inspire one another, and he knows that we are all connected. He’s worked with church leaders to discuss race relations in America, spoken out in meetings about global hunger and talked to politicians about police reform. He’s a degree or two of separation away from the who’s who of the LA hip-hop scene and he knows how all those career paths cross and diverge. For Prop, music is way to create conversations about bigger things that impact us on a daily basis and to see how faith can help guide us along the way. Crooked is the spark for a much larger fire.